H.E. Ambassador Mr. Dinesh K. Patnaik is a career diplomat of the Indian Foreign Service with experience of over 25 years in a variety of interesting and challenging assignments. He served as Third Secretary/Second Secretary in the Permanent Mission of India in Geneva from 1992 to 1994. From 1994 to 1998, he served as First Secretary in the Embassy of India, Dhaka, where he was charged with the work related to Information and commercial relations in addition to being Head of Chancery. From 1998 to 2000, he served in the Ministry of External Affairs in New Delhi as Under Secretary charged with Europe West countries and also as Officer on Special Duty in the External Publicity Division. From 2000 to 2002, Ambassador Patnaik was posted as the First Secretary at the Indian Embassy in Beijing, China and headed the Commercial Wing. From 2003 to 2005, he was posted as Deputy Secretary at the Ministry of External Affairs in New Delhi overseeing India’s relations with African countries. From 2007 to 2009, he served as Director (UNES)/Joint Secretary (UNES) overseeing works relating to UN. Ambassador Patnaik served as the Deputy Chief of Mission/Deputy Permanent Representative at the Indian Embassy in Vienna from 2009 to 2012. He was India’s Ambassador to Cambodia from 2012 to 2015. 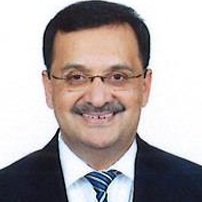 Till recently, he was India’s Ambassador to the Kingdom of Morocco before assuming charge as the Deputy High Commissioner of India to UK, London. Ambassador Patnaik holds a Master’s degree in Business Administration (MBA) from the Indian Institute of Management (IIM), Kolkata, in addition to Master’s degree in Advanced International Studies from the University of Vienna and Certificate in International Studies from the Diplomatic Academy, Vienna. Ambassador Patnaik is married to Poonam who is an international educator. They have two daughters.